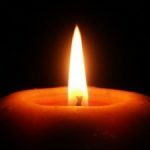 If you wish to honor the memory of any of these departed with a contribution to Temple Beth El, please click here. Nichum Avelim (comforting the mourner) is a mitzvah (commandment) and one of the highest honors a person can do for another in the community. The purpose of a shiva call is to provide comfort and support for the mourner and his or her family as they grieve and heal. The rabbis are very clear that a visitor’s main job is just “being there.” It is traditional to bring food, either prepared by you or store bought, although you should check if the mourner observes kashrut before you do. Food represents life, and we embrace and talk of life in the face of death. It is not traditional to bring liquor, candy or flowers. In addition, it is customary to make a donation (tzedakah) to a charity in honor of the person who has passed away. Decide when to visit. Listen for an announcement at the funeral service (or in an e-mail from the synagogue) for the times that the mourner will be receiving guests. Usually the options are immediately after the funeral, at services in in the evenings when Kaddish is recited and a minyan is required, or during the day. Should you wish to visit during another time, you may want to call ahead. Just walk in. Do not ring the doorbell. The front door of most shiva homes will be left open or unlocked, eliminating the need for the mourner to answer the door. Find the mourners. Go to the mourners as soon as possible. What do you say? The tradition suggests being silent, allowing the mourner to open the conversation. Simply offering a hug, a kiss, a handshake, an arm around the shoulder speaks volumes. If you do want to open a conversation, start with a simple “I’m so sorry” or “I don’t know what to say. This must be really difficult for you.” Speak about the deceased because one of the most powerful ways to comfort mourners is to encourage them to remember the person. Participate in the service. If a prayer service is conducted during your call, participate to the extent you can. If you do not know the service, sit or stand respectfully while it is in progress. If the rabbi or leader asks for stories about the deceased, do not hesitate to share one, even if it is somewhat humorous. The entire purpose of shiva is to focus on the life of the person who has died and his or her relationship to the family and friends in that room. Talk to your friends. Inevitably, you will encounter other friends and acquaintances at a house of mourning. Your natural instinct will be to ask about them, to share the latest joke, to shmooze about sports or politics. You may be standing with a plate of food and a drink, and if you did not know better, it would feel like a party. But the purpose of the shiva is to comfort the mourner. Say goodbye. When you are ready to leave, you may want to wish the bereaved good health and strength, long life, and other blessings. Excerpted from “How to Make a Shiva Call” at MyJewishLearning.com.